There’s a saying jumping around Colorado that “if you don’t have a brewery in your town, you’re not on the map.” A hyperbole of course, but not far from the truth. 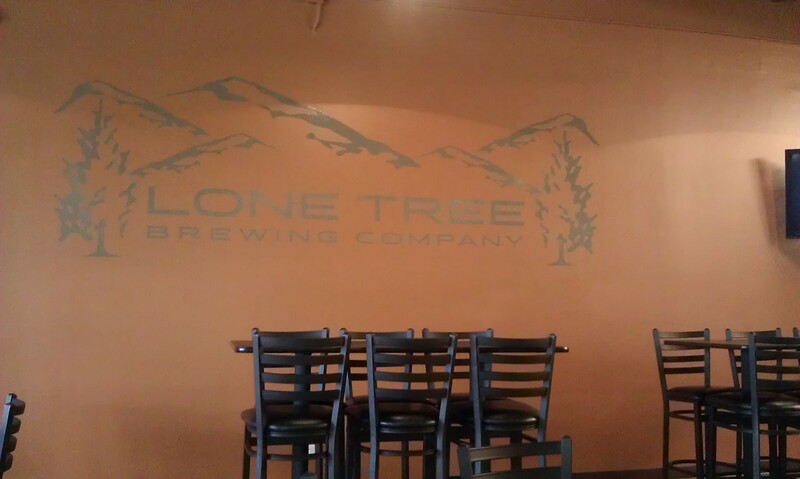 Fortunately for Monument and Lone Tree, some brewing pioneers put their communities on the map last year. We visited Pikes Peak Brewing Company and Lone Tree Brewing Company last fall during some beer drives, and both caught our attention. On our way back from a hike in Garden of the Gods last weekend, we were eager to return for some sipping. Fortunately, both community gathering spots (by which I mean breweries, craft beer havens, watering holes with tasty water), are a hop off the highway (I25 to be exact). 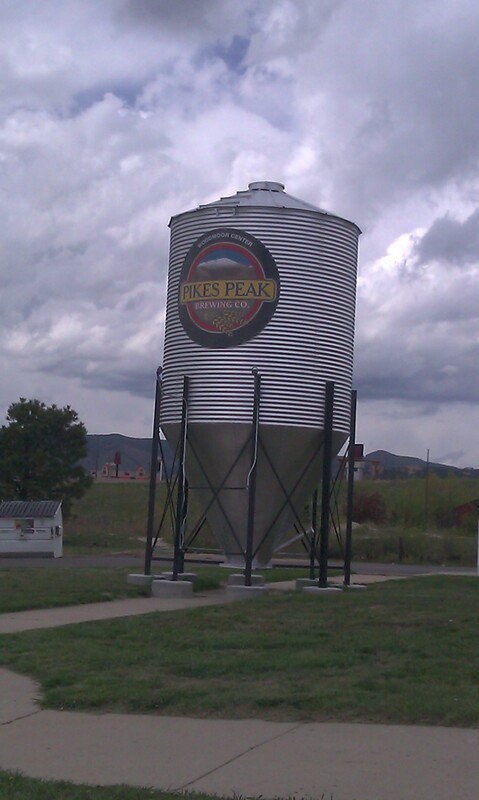 We stopped off in Monument to revisit Pikes Peak Brewing Company’s flagships: Summit House Stout, English Mild, Devil’s Head Red, and Elephant Rock IPA. Each represented their given style extremely well. While finishing o ur tasters, something shiny caught my eye. In the glass counter by the bar Pikes Peak displayed their unique lantern-like growlers. Now we certainly have enough growlers, but this one was difficult to pass-up . . . quite different than our others with its sleek design and its blue glass. So yes, we asked the bartender to fill one with the English Mild. In gratitude for our purchase and our enjoyment of his beer, the brewer surprised us with an early sample of their newest seasonal beer which won’t be released until later this week, the Highlander Eddenbrook (Scottish) Ale. This one was an eye opener and something to really explore carefully. He mirrored the water for the beer off of the water in Eddenbrook, Scotland, taking a very specific approach to the now rather common Scottish Ale style. The flavor profile on this is unique, complex, and frankly, delicious. A lot of beer doesn’t come with too many surprises, but the Pikes Peak Brewing Company’s Highlander Eddenbrook Ale is sure to wake the most sleepy palette. From Monument, we climbed the grade and enjoyed the green hillsides and the scenic drive to the southern suburbs of Denver. 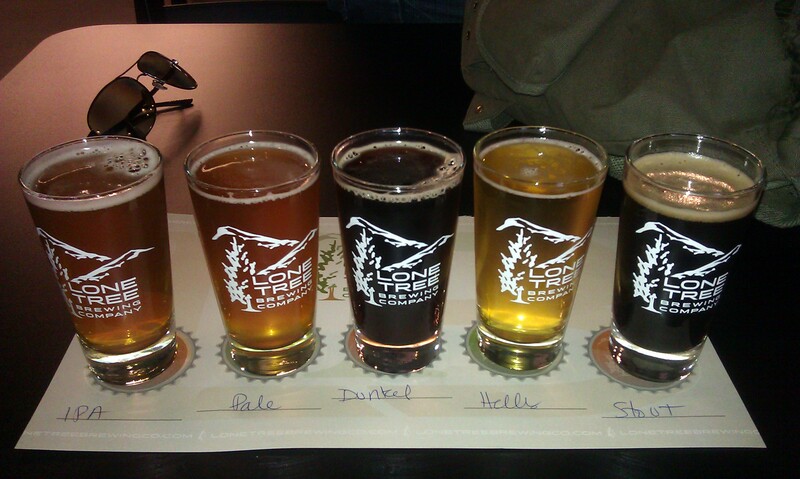 In a typical microbrewery location (a discreet industrial park, shying away from the strip malls and promenades), Lone Tree Brewing Company (LTBC) beckoned us. We ordered a tasting tray of Mountain Mama Helles, Das Bart Dunkelweizen, Toot’s Full Bodied Oatmeal Stout, Puddle Jumper Pale Ale, and Hoptree IPA and replenished our glycemic index with freshly popped popcorn. The beer was just as good as we remembered. Like Pike’s Peak, LTBC’s beers are true to their styles, full-flavored, well-balanced, and more than welcoming for a local community gathering spot. It’s breweries like these that keep our communities alive and thriving, and that keep the craft beer scene intriguing and tantalizing. 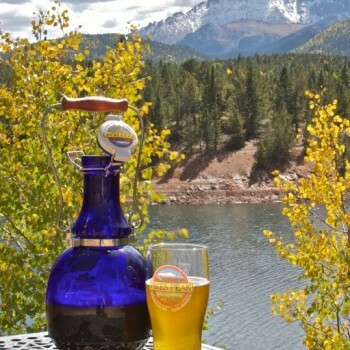 This entry was posted in Craft Beer Adventures, Tasting Highlights: Breweries and tagged Garden of the Gods, I25, Lone Tree, Lone Tree Brewing Company, Monument, Pikes Peak Brewing Company. Something to Watch For! And 4 New Places to Check Out!